Sadly, sometimes there is a need for raising a house due to flooding. It may be your reality right now. It is a tough position to be in but there is a way forward. Don’t think of it as the end but as a new beginning. There are a number of reasons why your house might need raising due to flooding. It may be simply that it was originally built in an area that often floods. The original owners put up with the flooding but you have had enough. It might be that you live in an area that has not been prone to flooding but due to development or land use changes downstream you are now seeing an increase in water. Finally, it may be a catastrophic once every 100 years event and you want to make sure it never happens again. The bottom line is you have a flooding problem and you want to deal with it. We can help. 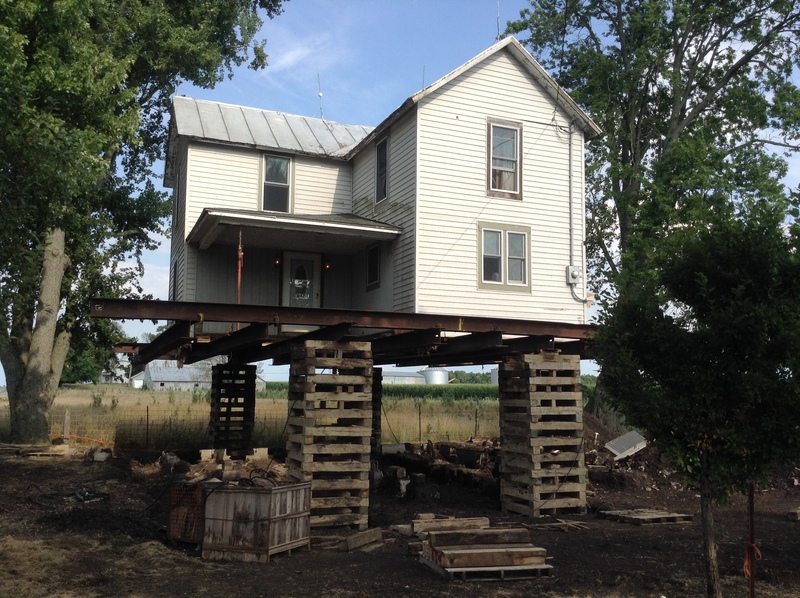 If you have a house that needs raising due to flooding you may wonder can it even be raised? First, let say for all practical purposes any house, no matter how or where it is constructed, can be raised. The decision is almost always a money matter. Some time FEMA is involved with one of their programs. This avenue can be cumbersome to negotiate but it should always be investigated. Here is a link to the FEMA website www.fema.gov. Some structures have private flood insurance that may pay all or part of the cost of raising a house due to flooding. Lastly, you may have decided that you will have to use your own funds to take on this project. Whichever way you proceed, Klier Structural Movers can work with you. A frequently asked question is in what state will my house be left? The answer is not simple because you have a number of options. First, the area under the house will normally only have limited use. It may be a deeper crawl space. Some will look like a basement above ground. Still, others will be on stilts or poles and are left open. All the options are viable depending on your individual needs and desires. Klier Structural Movers can serve as the General Contractor or work with your GC to provide just the raising. ← Basement entrance is a nice upgrade to your home. That’s good to know that no matter where or how a house was built that you can raise it if you have the funds. My cousin moved to an area she didn’t know was known for flooding, so I’m helping her figure out how to prevent it. We’ll have to find a house raining company that she can hire since she should have enough money, and that way her home won’t flood again. Hazel, I assume she is not in the Ohio area? If she is please tell her to get ahold of us. We’d be glad to talk with her. If not I’d suggest the IASM web site. She should be able to find an experienced mover in her area or one that will travel to her. We have done some really nice raising jobs that have taken care of the issues caused by persistent flooding. Good luck to her and thank you for the comments.